I was going to do four Christmas verses for this month’s Scripture memory verses. However, I’ve changed my mind. Instead, I’ll be sharing four verses about Who Jesus is. I guess you could say these are Christmas verses – just not Nativity verses! I decided on these verses for two reasons. First, I’m struggling to find time for more in-depth Bible study and prayer. I have to remind myself that I’m in the car two-and-a-half hours a day (or more) and that this is just a season. I’ll have more time for in-depth study in the future. What matters most is spending intimate time with the Lord, and the reminder of Who He is helps me do that. Second, these verses are taken from the Gospel of John and the topical study guide I shared just a few days ago. I love having my study time and my devotion time dovetail – it’s a double-dose of goodness! If you haven’t already picked up your study guide on the names and titles of Jesus, it is in the Resource Library – which is where you can also find this month’s verses. Now that you know why I’m sharing what I am, here are a few tips on making the memory work stick. Study verses in context as you memorize them, so you fully understand what they are saying. Memorize a verse one phrase at a time. It is better to memorize one verse a month than no verses at all. Don’t feel like a failure if you can’t keep up with the one-a-week pace. Repeat the verse you are memorizing out loud to yourself throughout the day, every day. Write the verse you are memorizing down several times a day, several times a week. Keep your learned verses on a review schedule so you don’t forget them. Memorize one or more verses in a row (try 1 Thessalonians 5:16-18 for your first mini-passage!). Memorizing passages gives depth to your treasure trove of verses. Share the verses you learned and are learning with an accountability partner. And listen to your partner share also! Post index cards with the verse or verses you’re memorizing in several places around the house, car, and (if permissible) workplace. Seeing those verses repeatedly will reinforce your memory. Only spend about 10 minutes or less at a time on memory work – give the verse you’re working on time to sink into your brain. That 10 minutes or less is memory-work time – you can always spend more on meditation. Need a refresher on the difference? Check out this post. Scripture memory will help calm your nerves and anxieties. Whatever you are facing, there are undoubtedly many verses that can address your feelings. The problem is, when we are facing tough times, we don’t always have the time – or take the time – to find those verses. As you build up a bank of memory verses to draw upon, you’ll find the Spirit can and will bring just the right verses to mind just as you need them. Scripture memory will help you to think God’s thoughts. Even when life is going well – or maybe especially when life is going well – we all need to be reminded to think on heavenly things (Colossians 3:2). Memorizing Scripture is the best way I know to learn to think God’s thoughts. We cannot trust our own thoughts (the heart is deceitful and wicked – Jeremiah 17:9), but we can always trust God’s thoughts – which are recorded in His Word. 1 Corinthians 2:11 tells us that only the Spirit of God knows the thoughts of God. But it is the Spirit Who inspired the Bible. So, we have God’s thoughts in our hands when we hold the Bible – and we have His thoughts in our minds when we memorize it! This month’s verses are four of the “I am” statements Jesus makes in the Gospel of John (it would make a good study to find them all!). I have bolded the “I am” part of each verse below to draw attention to these statements. Because these are fairly familiar, they may be easy to memorize. Perhaps the hardest part will be remembering the references! 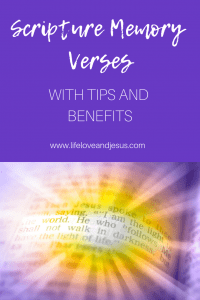 I hope the easier verses – but still valuable and deep – will keep you on track with memorizing through the holiday season. Remember – He is the Reason for the season! John 10:14 – I am the good shepherd, and I know My own and My own know Me. John 15:5 – I am the vine, you are the branches; he who abides in Me and I in him, he bears much fruit, for apart from Me you can do nothing. Remember to pick up your verses in the Resource Library. 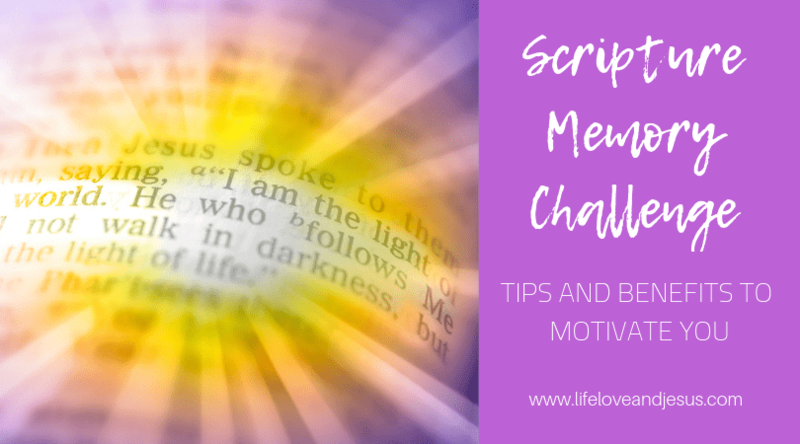 I’d love to hear how the Scripture memory challenge is working out in your life. Getting into God’s Word is never wasted time! And getting God’s Word into you is never wasted effort!